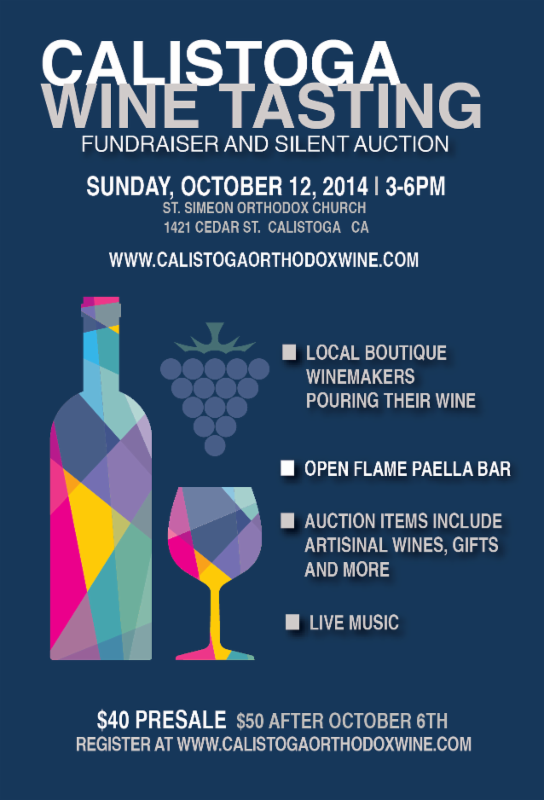 Western American Diocese - Calistoga Orthodox Wines is Hosting its Third "Calistoga Wine Tasting Fundraiser"
Calistoga Orthodox Wines was founded by Priest Akim Provotakis, Rector of Saint Simeon of Verhostursk Church of the Western American Diocese in Calistoga, CA. 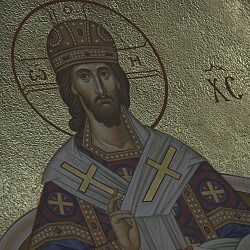 Calistoga Orthodox Wines has produced a high quality Kagor for use as a chalice wine during the Divine Liturgy. The first vintage was so successful that it is completely sold out. Now, a new one is in production for release in the near future. Please, support the "Calistoga Wine Tasting Fundraiser and Silent Auction" on Sunday October 12, 2014, from 3-6 pm at the Church of Saint Simeon (1421 Cedar St., Calistoga, CA). The revenue from this event will go towards the continuation of this important endeavor for the Church. More information or to purchase this high-quality wine see Calistoga Orthodox Wines website. All proceeds of sales of Calistoga Orthodox Wines go to support the parish of Saint Simeon Russian Orthodox Church and Holy Assumption Monastery, both in Calistoga CA.